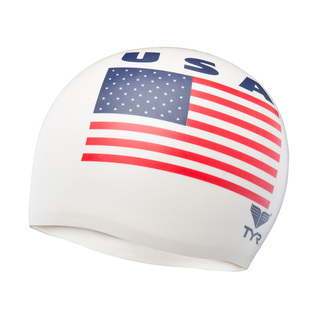 Be a part of Team USA with this classic swim cap from Tyr. 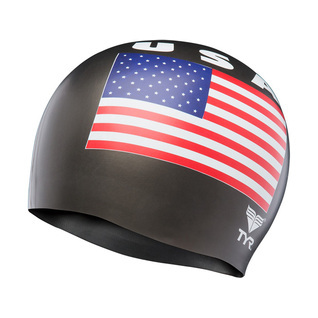 Featuring the USA flag and logo, this cap is a quality option designed to improve performance in the water and protect against chlorine damage. Designed with a durable ribbed edge for a secure fit and standard 30 Gram Weight construction. A durable, hypoallergenic, long lasting cap material. Made to slide on easily and stay on. Suitable for both adults and youths. Our Latex Swim Cap locks hair in place and won't slip off in the water. Be sure to browse other Tyr products available at Swim2000.